Embellished with trim and elaborate details, these Britain-inspired homes. Go bold and beautiful with Queen Anne and Victorian architectural styles for your home windows and doors. During the twentieth century Industrial Revolution in Great Britain, millions of houses were built in a housing boom now referred to as “Victorian” houses. In the United States, Victorian-era houses often include ornate décor with elaborate details, a multitude of trim and a bold color palette. Wrap around porches with decorative railings and columns distinguish this style. These homes usually stand tall with iconic circular or geometric towers that stem through the home. Bay and bow windows are almost always implemented within a tower. They complement the ornate style of Victorian/Queen Anne homes by dividing the view into different planes and bringing in more light. Bay Windows can be customized for a combination that suits your home best. 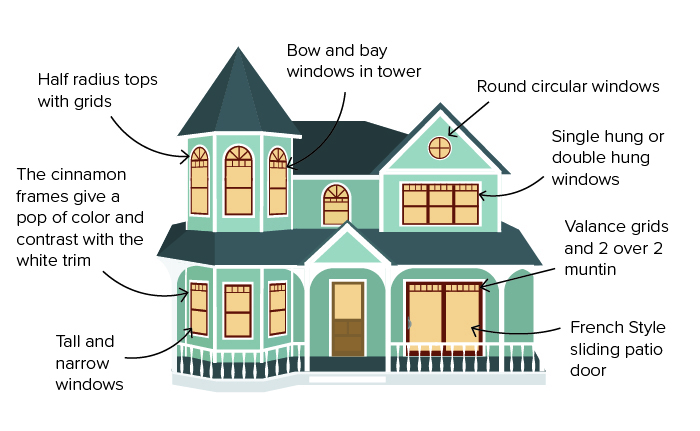 Victorian homes often use traditional-style double hung windows in combination with half round windows on top. Tall and narrow windows give the illusion of a taller home which was the traditional style. Round circular windows accent the half round tops and complete the look of the home. Exterior frame colors are often a pop of color or white to contrast the colorful siding. 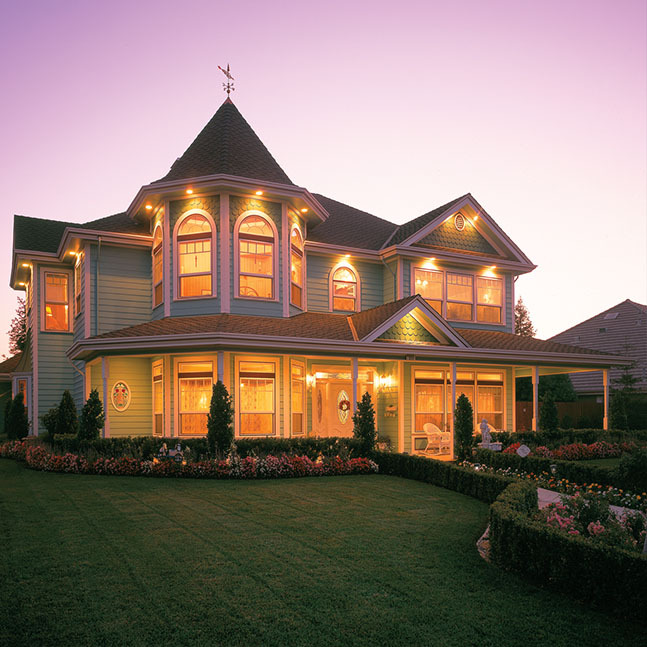 Milgard offers many premium color options in fiberglass and vinyl material. White or colorful trim is used not only around the windows but to frame the house. Valance grids serve as a very decorative finish to Victorian windows, but traditional homes in this style used 2 over 2 muntin grid patterns. To match, half round tops can be paired with a radial grid. French-Style sliding patio doors accentuate the traditional architecture of Victorian/Queen Anne homes. For a more ornate door, include grids, transoms and side lights for added detail. 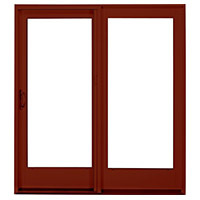 Browse beautiul images of Milgard windows and patio doors and be inspired by the possibilities. Explore the top nine architectural styles we love and the windows that complement them.